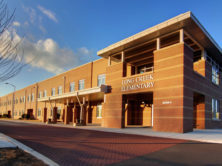 This 13.5 million dollar CM@Risk project consisted of a 86,000 square-foot replacement elementary school. 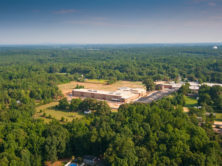 The multi-story school includes a gym, kitchen and dining facilities, media center, administrative space and offices, plus a two-story classroom wing. In addition to the building, the project included road widening between one the largest arteries between Charlotte and Huntersville. The new building and road were completed next to the existing functioning building without interruption to operations.